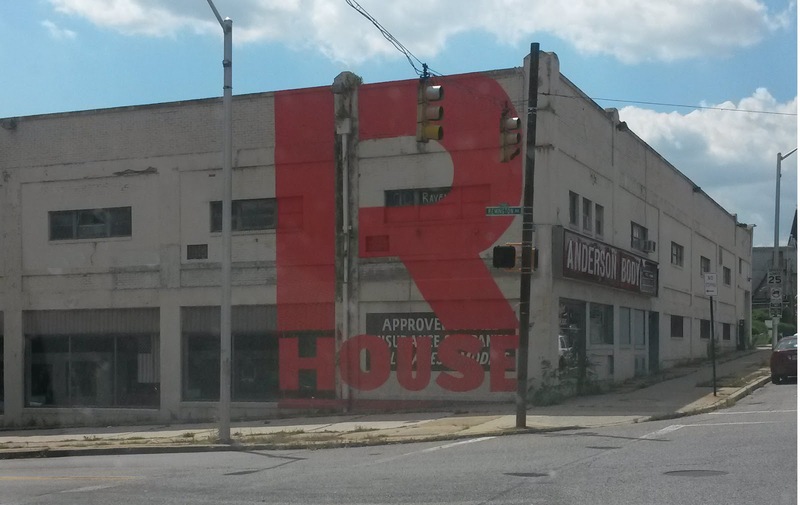 Renovation of the old Anderson Body Shop on W. 29th Street starts this fall. The main feature of the food hall will be a 12,000-sq-ft open seating area ringed by 10 stalls. Small, independent restauranteurs will prepare and serve food from the stalls. In nice weather, large doors will open onto an additional outdoor seating area on the South side of the building. Many back-of-the-house operations, such as storage, table busing, and dishwashing, will be handled by centralized R. House facilities and staff. Those operations will be located mostly in the northeast corner of the building. A proposed bar serving alcoholic and non-alcoholic drinks to eat-in patrons would also be run directly by R. House staff, not by an outside vendor. The upper floor of the building will contain offices and a yoga studio, and Seawall plans to move their offices into part of that space. The overall arrangement of the property will remain as it is today. The surface parking lot on the South side will stay put, but be reconfigured to suit the planned commercial use, including the addition of handicap spots and beautification. Parking will extend into the interior of the building along the Fox Street side at ground level, with additional handicap and standard spots. The building will get a big facelift. All of the building’s 15-ft. windows were once full-size plate glass, as is currently seen on the lower floor, Remington ave. side (bottom left in the photo). That design will return, with the cinderblock infill removed from the other windows. “We are excited to have more options for food in the area but remain cautiously optimistic that the price point and selection will be both affordable and appealing to the community,” one Remington Ave. resident says. Renovation will begin this fall, and Constable says the developers hope to open R. House for business in late summer or early fall of 2016. The new construction Seawall is also undertaking on the 2700 block of Remington is expected to have similar timing. The prolific developer also owns the large warehouse on the 2900 block of Remington ave, but has not yet released plans for that property or several smaller buildings they own around Remington.